Azure hardware payloads and end-to-end system solutions support the full range of airborne platforms, including small to large UAVs, manned vehicles, and hand-launched platforms. These payloads enable applications supporting contested and congested operations, colocated interference, and mountainous terrain. Successful missions have included radar, EW, and comms applications. 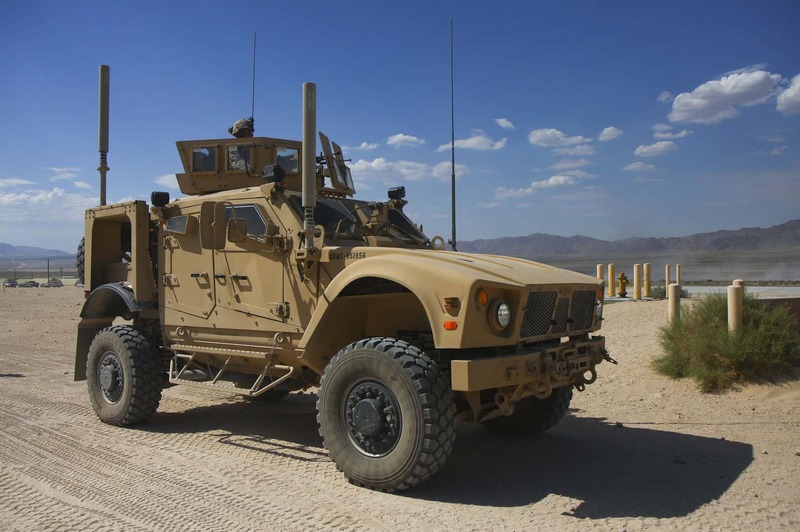 Our hardware payloads and end-to-end solutions can be body worn and deployed on the full range of ground vehicles, including Humvees. These payloads can support radar, EW, and comms missions. Our hardware payloads and end-to-end solutions currently support surface and undersea missions for submarines, UUVs, and surface ships. Missions include EW and comms applications. Azure Summit Technology is a mature, growing small business with locations in Fairfax, Virginia, and Melbourne, Florida, that develops and delivers high-performance RF hardware, firmware, and software products, and innovative, practical, multi-function RF systems solutions that address emerging missions of national importance for customers across the Department of Defense. We are a diverse team of highly qualified RF systems engineers and mission subject matter experts (SMEs) with backgrounds in electrical, mechanical, RF, hardware, software, firmware and systems engineering, working together within a creative, innovative, and highly collaborative culture, to deliver cutting edge solutions for our customers. We are problem solvers with a passion to succeed who bring our unique perspectives and diverse experiences together to successfully address our customers toughest challenges. Want to find out more? We want to hear from you! PRESS RELEASE -- Fairfax, VA, March 27, 2019 - Azure Summit Technology, provider of high-performance RF electronics hardware, firmware, and software products for the Department of Defense, announced today that it received a fifth delivery order on its five-year $48.5 million indefinite-delivery/indefinite-quantity (IDIQ) contract with the US Navy to support the AN/ZLQ-1 V2 Common Chassis for the Maritime Patrol and Reconnaissance Aircraft, Persistent Maritime Unmanned Aircraft Systems, and Submarine Sensor Systems Programs. This order secures nearly $1 million in engineering services, including more than $750,000 to productize and enhance the 4-channel 3U open VPX software-definable RF receiver for the Navy. As announced in November 2018, Azure successfully demonstrated the 3U receiver to the Navy, and this order funds design updates to transition from the prototype to the production system. Azure’s Switchblade product family provides modular, open-architecture multi-channel RF performance with low cost and SWaP. 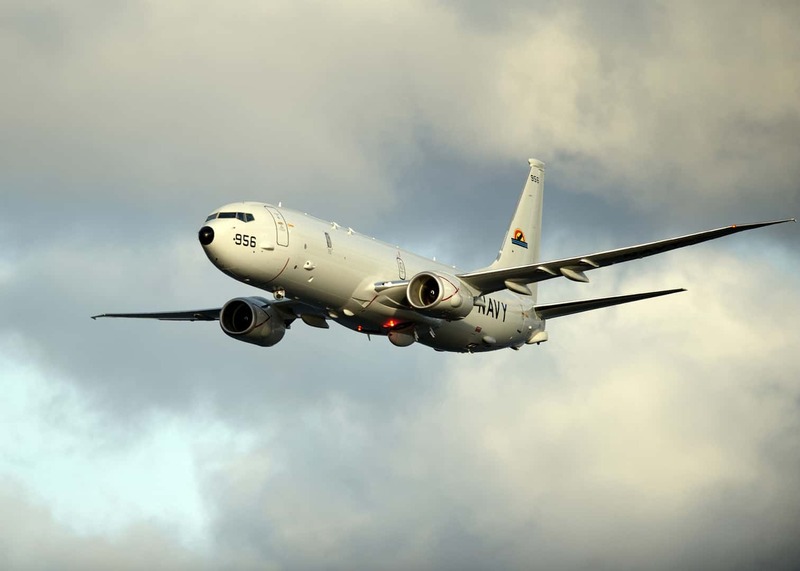 It includes fully integrated RF, digital, and on-board computing resources in form factors well-suited to small manned and unmanned air, surface, and subsurface platforms. The 3U Switchblade is fully compatible with all tuner modules and software/firmware applications that are available and in use with Azure’s production Switchblade 6U transceivers, including both the 80 MHz and 600 MHz Instantaneous Bandwidth tuners. It is also compatible with the Switchblade Wideband Transmitter Module, currently under development, that will enable the 3U to operate as a wideband transceiver. Also under development is an Intelligence Surveillance and Reconnaissance form factor transceiver that will be interoperable with all these same tuner/transmitter modules and suitable for even smaller form factors than the 3U. The prototype is anticipated to be available by 3QFY19. "This new effort builds on the success of the initial 3U demonstration to develop design enhancements for the production 3U. 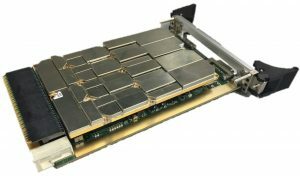 Once in production, the 3U will extend all the available Switchblade capabilities to any 3U open VPX-based RF system architecture, further expanding the range of platforms that can host low cost and SWaP Switchblade sensing and communications solutions." stated Azure Summit Technology CEO, Dr. Thomas Green, Jr.
For more information, please contact Dr. Thomas Green, Jr., at (571) 308-1400 or visit www.azuresummit.com. PRESS RELEASE -- Fairfax, VA, December 12, 2018 - Azure Summit Technology, provider of high-performance RF electronics hardware, firmware, and software products for the Department of Defense, announced today that it has received third and fourth delivery orders on its five-year, $48.5 million indefinite-delivery/indefinite-quantity (IDIQ) contract with the US Navy to support the AN/ZLQ-1 V2 Common Chassis for the Maritime Patrol and Reconnaissance Aircraft (MPRA), Persistent Maritime Unmanned Aircraft Systems (PMUAS), and Submarine Sensor Systems Programs. "Azure’s Switchblade transceivers are core elements of mission systems that are being integrated today onto multiple Navy platforms. They are multi-channel software defined radios that provide the Warfighter with next generation RF capabilities that support current missions and have the flexibility to provide new RF capabilities and functions for emerging missions in the future," stated Azure Summit Technology CEO, Dr. Thomas Green, Jr.
PRESS RELEASE -- Fairfax, VA, November 2, 2018 -- Azure Summit Technology, provider of high-performance RF electronics hardware, firmware, and software products for the Department of Defense, announced today that it has successfully demonstrated a 4-channel 3U open VPX software-definable RF receiver to the US Navy. Azure is in the process of finalizing the manufacturing and design of the receiver and will be ready for full rate production in 2QFY19. 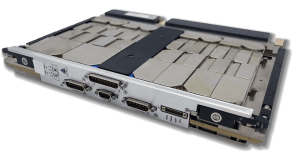 Azure's 3U Switchblade receiver provides modular, open-architecture multi-channel RF performance with low cost and SWAP. It includes fully integrated RF, digital, and on-board computing resources in a form factor well-suited to small manned and unmanned air, surface, and subsurface platforms. The 3U Switchblade is fully compatible with all tuner modules and software/firmware applications that are available and in use with Azure's production Switchblade 6U transceivers, including both the 80 MHz and 500 MHz Instantaneous Bandwidth (IBW) tuners. It is also compatible with the Switchblade Wideband Transmitter Module, currently under development, that will enable the 3U to operate as a wideband transceiver. "With the addition of the 3U form factor to the Switchblade product family, the Navy can deliver the same advanced RF mission capabilities to the warfighter across larger platforms, hosting the 6U, and smaller platforms, hosting the 3U, achieving substantial software/firmware reuse, simplified logistics, and lower development and lifecycle costs," stated Azure Summit Technology CEO, Dr. Thomas Green, Jr.
PRESS RELEASE -- Fairfax, VA, October 5, 2018 -- Azure Summit Technology, provider of high-performance RF electronics hardware, firmware, and software products for the Department of Defense, announced today that it has received a second delivery order on its five-year, $48.5 million indefinite-delivery/indefinite-quantity (IDIQ) contract with the US Navy to support the AN/ZLQ-1 V2 Common Chassis for the Maritime Patrol and Reconnaissance Aircraft (MPRA), Persistent Maritime Unmanned Aircraft Systems (PMUAS), and Submarine Sensor Systems Programs. "Azure’s Switchblade transceivers provide modular, open-architecture, cutting-edge RF performance with substantial reductions in cost and SWAP compared with alternative approaches. 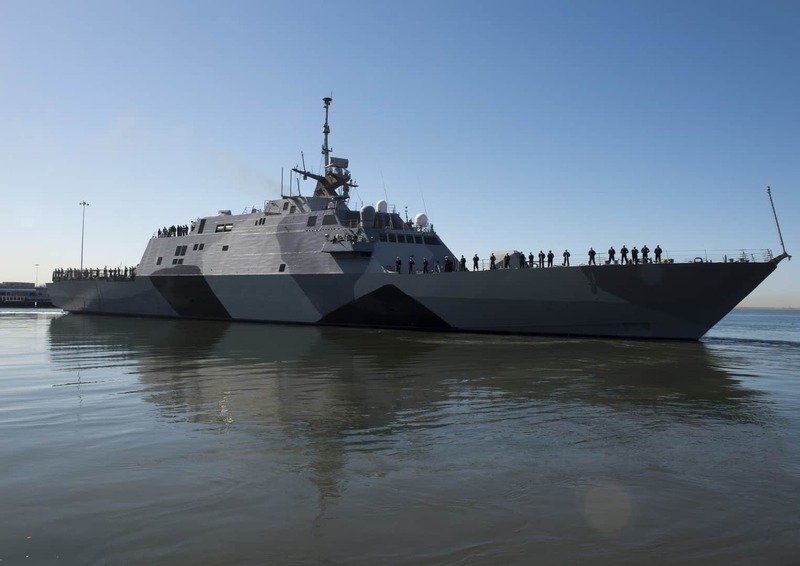 This delivery order further illustrates the increasing importance of Switchblade-based solutions in enabling critical mission capabilities for a growing list of U.S. Navy platforms," stated Azure Summit Technology CEO, Dr. Thomas Green, Jr.